Imagine living in a 37-story modern luxury condominium tower surrounded by a spectacular central city park. Impossible to find anywhere? Well, it is now a reality in Edmonton, at Jasper House. JasperHouse is Lamb Development Corp.’s incredible new tower slated to start construction this year. How has this become a reality? 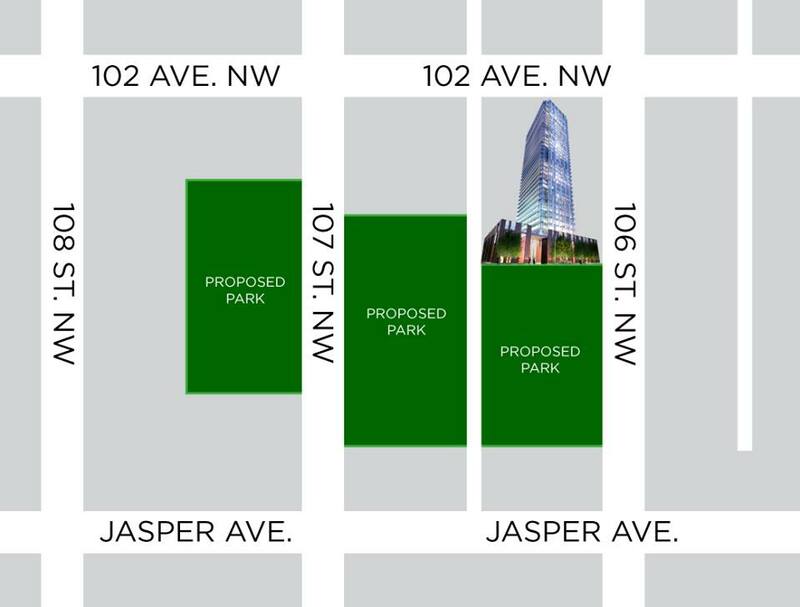 The City of Edmonton announced its intention to purchase the land surrounding Jasper House to the south and west, with the intention of creating an amazing new green space for the people of Edmonton to enjoy. As Jasper House already has our design plan approved, it is the only building that will front the park for the foreseeable future. How does this affect property values? Answered in one word: HUGE. Where else can you find this in central Edmonton or in any other city in North America? Parkland frontage is a rare and valuable commodity anywhere. The good news is that Jasper House is still offering pre-construction buying opportunities. While the building is 50% sold, tremendous value remains to buyers this winter and spring. Once the building is 65% sold, suite prices will be raised to reflect the added value due to the park and the imminent start of construction. Don’t miss this once in a lifetime opportunity to buy Jasper House at incredible pricing!